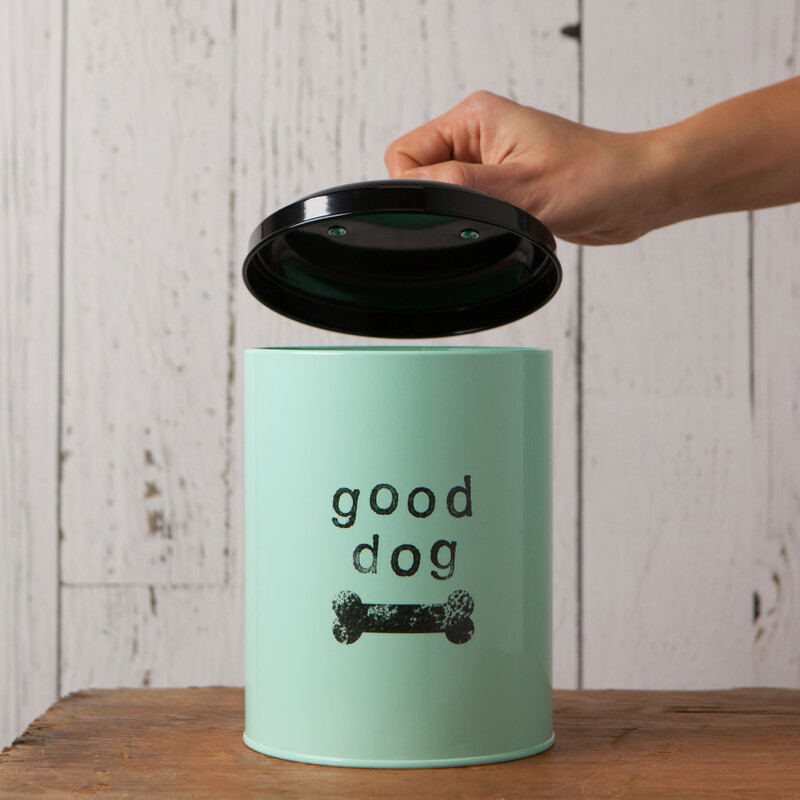 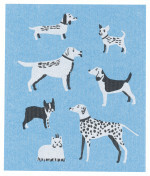 Keep Fido's treats nearby and on hand with this stylish storage tin. 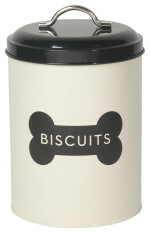 It features an attractive white base and matching black lid with a tidy "biscuit" design. 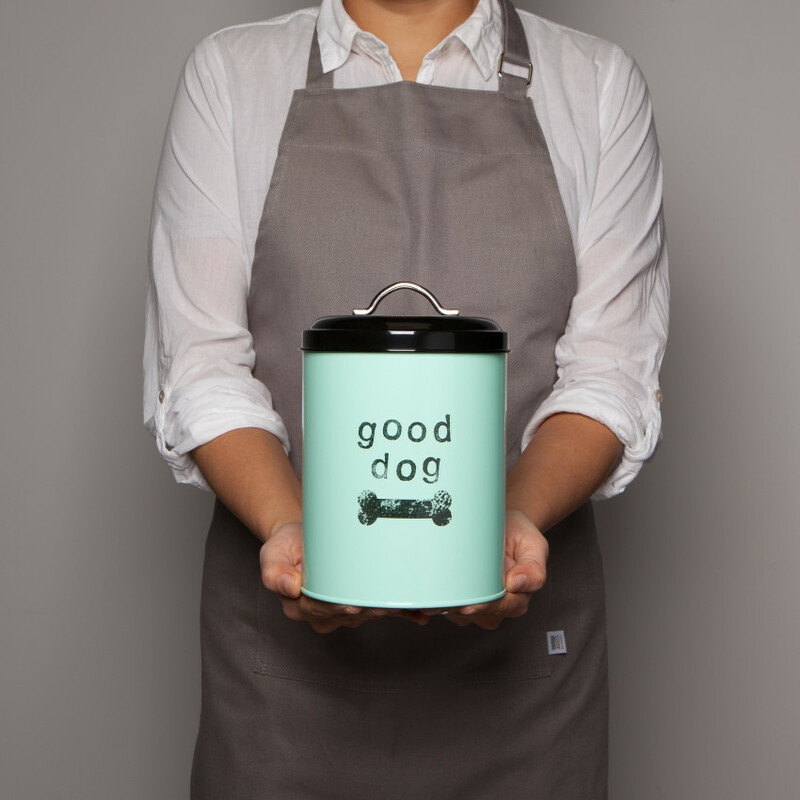 Made from food safe powder coated galvanized steel, this dog treat container is 7 inches tall and 5 inches in diameter. 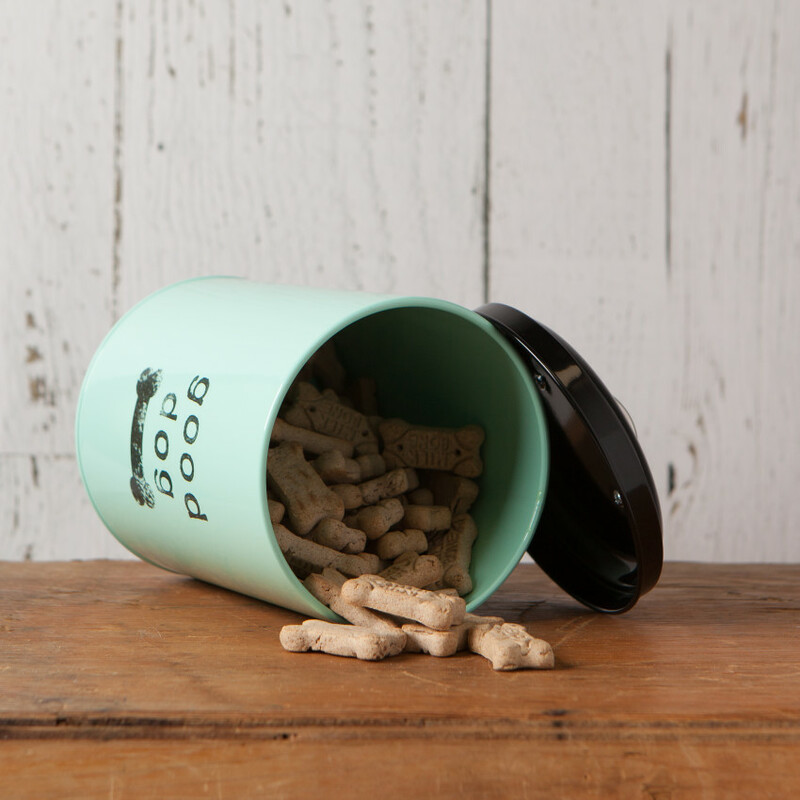 There is plenty of space to store dog biscuits, training treats, rawhides, or your pup's favorite snack. 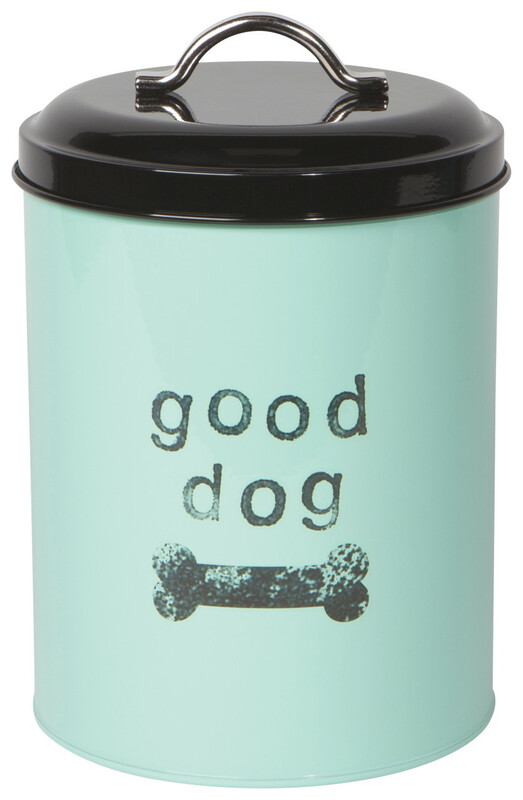 The modern, sleek design coordinates with a variety of decor styles and can stay neatly on your counter top.